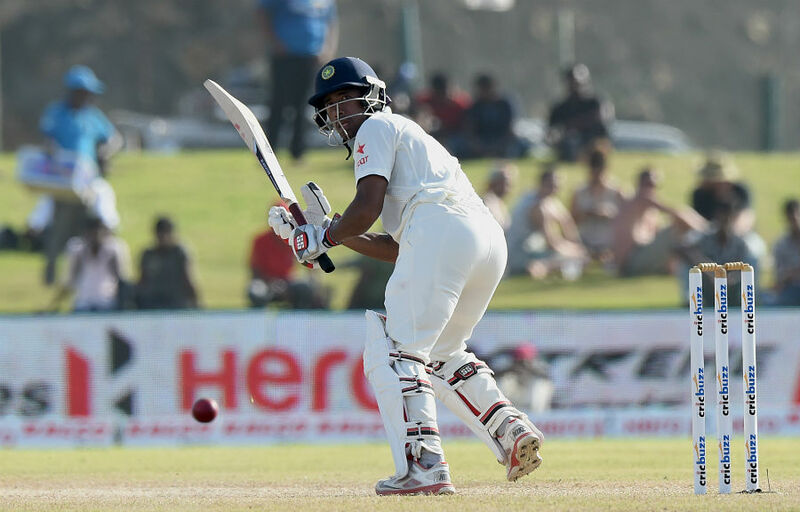 Kolkata, Nov 14: Unlike Cheteshwar Pujara, India wicketkeeper-batsman Wriddhiman Saha does not feel the Sri Lanka series starting from Thursday will help in preparing for the upcoming South Africa tour early next year. India blanked a hapless Sri Lanka in their own lair 9-0 across all formats in August and the Dinesh Chandimal-led side are not expected to wreak havoc here as well. India have been near-invincible at home in recent times and in the upcoming three Tests, three ODIs and three T20s, they are also expected to win convincingly. Pujara recently said that the series would give him a "good opportunity" to prepare for the tough assignment ahead. Saha, though, said on Monday that every series is a challenge on its own and they cannot think of South Africa just yet. "Every Test is a challenge. Sri Lanka series is not a preparation for South Africa. If we do well here, then we can think of South Africa," Saha told reporters on the sidelines of India's first practice session at the Eden Gardens here. India will play three Tests, six ODIs and three T20 internationals against the Proteas. The first Test is on January 5 in Cape Town. Asked about fatigue of the players coming into the series after playing against the Aussies in ODIs and T20s and also in the Ranji Trophy, Saha said: "In professional cricket everyone gets fatigued. The challenge is to recover well by exercises such as stretching. Good sleep at night is the most important, then strength training session... everything combined... it works." Saha said Ishant Sharma and Mohammed Shami are the toughest to keep against while among the spinners, Ravichandran Ashwin is way ahead with his variety of deliveries. "Ishant and Shami are the toughest to keep against as the ball wobbles after crossing the wicket. It gets tough to catch for a keeper. In Umesh (Yadav) and Bhuvi's (Bhuvneshwar Kumar) case, this does not happen a lot as they are swing bowlers. "Ashwin is ahead among the spinners as far as keeping difficulty is concerned. Ashwin has more variation than Jaddu (Ravindra Jadeja) and Kuldeep (Yadav)... so it is tougher," Saha said. Quizzed if the variety among the Indian tweakers makes Saha's job difficult as a keeper, the 33-year-old said: "Reading the hand is 50 per cent job done. After that, bounce of the wicket and whether it is turning or not matters. The challenge is to catch all the balls." Saha said the longer you play together with the same bunch, the better you can gauge them from behind the stumps. He was answering a question on Ashwin having a lot of variety and whether that makes his job all the more difficult. "We have played a lot together. As a wicket-keeper, the longer you keep you get more idea. It is easier to keep against him now than before." Regardless of the wicket at the Eden, Saha said they would want to win the match and the series. "The wicket was covered. Whatever it is, we will try to win the series and the first match." Saha said no one is held accountable in the Indian team for a wrong Decision Review System (DRS) call. "We have decided to feel free when taking a call on DRS. If you feel, yes there is something, tell... if you don't feel that it is out, say no. It's not a problem if a call goes wrong. The captain takes the final call. "In the slips, (Ajinkya) Rahane is there when spinners are bowling, Shikhar (Dhawan) is there when pacers are bowling. They also give their inputs. There is no reaction if a call goes wrong," the stumper added.